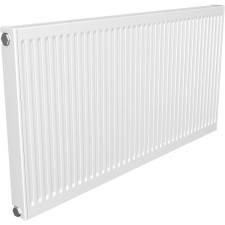 The classic central heating panel radiator is most popular for heating the home, be it the hallway or family bathroom. Wall mounted and with simple installation, panel radiators are reasonably priced and come in a range of sizes - and so can be fitted in the tightest of spaces. The single panelled radiator is relatively flat and mounted close to the wall, and so does not invade your room space. However double panelled radiators of course emit more heat and provide a greater depth for drying and hanging towels or clothes. 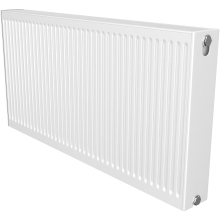 Whether its horizontal or vertical, Plumbase stock a huge range of panelled radiators in a variety of designs in classic white. 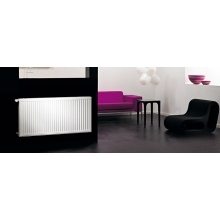 Superior in efficiency and value for money, the steel panel radiator is a popular choice. Also available are additional radiator accessories or extras you may need, such as radiator feet, fittings and valves.